The answer to this will be "YES" at some point soon. However before making the move, please consult with your friendly IT specialist. It often takes time for application providers to test their software following the release of a new operating system, so it is worth getting everything checked. 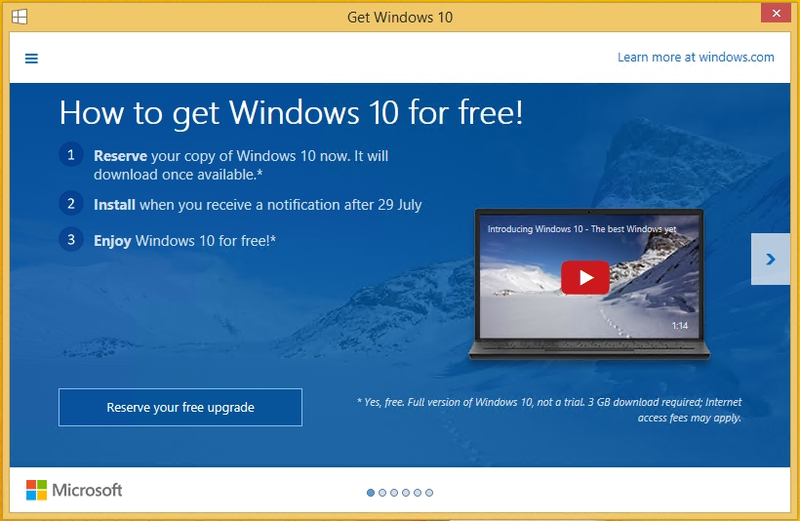 Windows 10, the latest version of the Microsoft desktop operating system, was released on the 29th July. If you are currently running Windows 7 Home, 7 Professional, 8.1 or 8.1 Professional you are entitled to an upgrade to the operating system at no cost for the next 12 months. After this you will need to pay for a Windows 10 license. 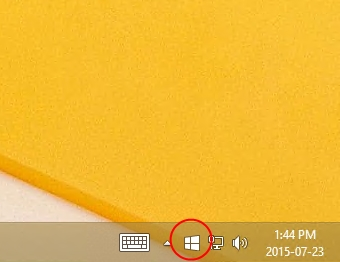 You may have noticed a small Windows symbol by the system tray near the clock on your desktop - circled in red below. If you click on this icon you are presented with a means to complete the registration process. Once registered, on or after the 29th of July your computer will download a large file at a time designated by Microsoft which will then prompt and advise that the operating system is ready for installation. A new operating system means progress, advancements and improvements. However, registering and implementing the new operating system in an unplanned manner could have some initially negative impacts. Upgrade time will render machine unusable for the time it requires to complete the process. If you have any question about what Windows 10 can do or whether you should upgrade please contact our support team on 0191 482 0444 prior to implementing or where possible before completing the registration process.